Gent Visick are proud to be an official drop off point for this amazing charity. 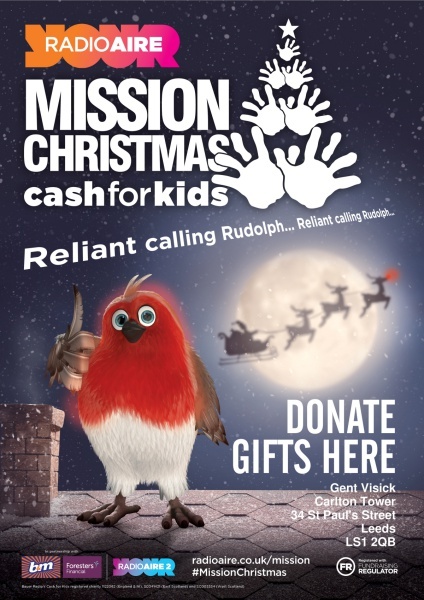 Mission Christmas need to collect over 26,000 gifts for underprivileged children in the Leeds area who won’t receive a present this Christmas. We are appealing to all our contacts to buy an extra gift, and we’ll make sure the Big Guy delivers it to a child near you. All gifts should be new and unwrapped.